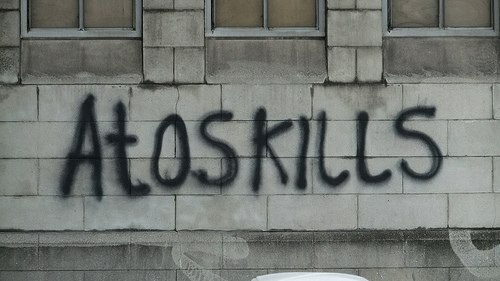 Today across the UK protests are taking place against ATOS, the French based Information Technology and Health multi-national first commissioned by the Government in 2008 to carry out the discredited work capability assessments (WCAs) with those claiming or seeking disability related welfare benefits. These ‘points-based’ tests –comprising of a combination of computer based questionnaires, short face-to-face interviews and minimal physical examinations– determine whether people are fraudulently claiming benefits when they are ‘fit for work’. To date ATOS has been funded to the tune of 500 million pounds for carrying out these tests. In July 2012 the British Medical Association Conference voted unanimously for an end to the WCAs in their current form. However, they continue unabated despite sometimes horrific and deadly consequences. Many hundreds of thousands of people which ATOS has reclassified as ‘fit for work’ (around 40%) have had that decision over-turned on appeal (Gentleman, 2012). As well as being expensive the appeals system often takes several months during which time poverty and stress often has a serious impact on the health of appellants. There is also growing evidence of a rise in the number of suicides and attempted suicides by people whose benefits have been withdrawn. These include truly heart-breaking cases, such as the suicide of Jacqueline Harris, a 53-year-old former nurse from Bristol, in 2013 . In this blog post, I want to return us to the ‘inclusive spectacle’ of the Paralympic Games in 2012 (a moment when the British State produced itself as the inclusive state extraordinaire), in order to briefly explore the deeply toxic mix of rhetorics of inclusion and mechanisms of exclusion which people with disabilities endure in post-welfare Britain. 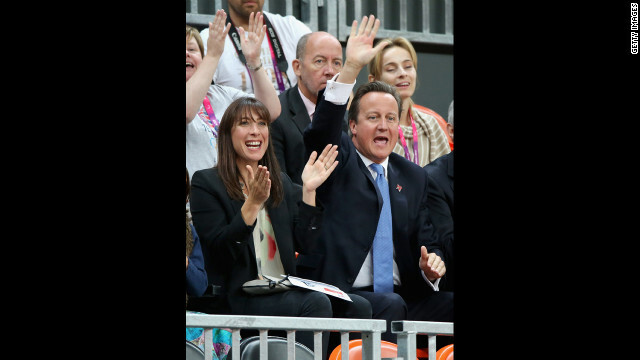 David Cameron, for example, recently claimed that “Britain’s Paralympic Games opened the eyes of the world to see disability in a different way” (David Cameron 2013). What sense can we make of Cameron’s boasts about Britain’s pride in being “disability inclusive” in the context of fiscal measures which seemingly target people with disabilities, and welfare reforms which function through the production of stigma and fear–as though fear itself might somehow generate paid work for people with disabilities. Highlighting the recent work of colleagues Chris Grover and Linda Piggot at Lancaster University, I will argue that it is critical that we stand in solidarity with Black Triangle, Disabled People Against the Cuts and other disability protest groups today as they defend rights to not work. On the evening of August 29th 2012, the opening ceremony of the London Paralympic Games saw thousands of performers and volunteers stage a spectacular commemoration of the historical achievements of disability rights movement in Britain. The highlight for many viewers was a raucous mash-up of Ian Dury’s 1981 punk disability anthem ‘Spasticus Autisticus’ performed by the electronic dance duo Orbital and the Graeae Theatre Company. During this exhilarating routine dozens of disabled performers enacted an abstract montage of disability rights protests, holding up placards which spelled out ‘RIGHTS’, ‘Equality’, ‘Look Beyond Appearances’ and ‘Don’t Judge a Book by its Cover’. The sequence culminated in the inflation of a 40ft reproduction of Marc Quinn’s sculpture of the disabled artist Alison Lapper, ‘Alison Lapper Pregnant’(2005), in the centre of stadium, whilst a young woman was simultaneously lifted into the air — smashing a metaphorical glass ceiling with her walking stick. The ceremony finally ended with fireworks and a rendition of the queer musical song ‘I Am What I Am’. Many commentators hailed this opening ceremony, which attracted UK television audiences of 11 million, a watershed moment in the history of disability rights in Britain which promised to challenge stigmatising cultural perceptions and attitudes around disability. Yet earlier in the day hundreds of disability activists took to the streets to stage the first of a series of rather different protest performances to make manifest their rage that the Paralympics where being sponsored by ATOS, an Information Technology and Health multi-national. 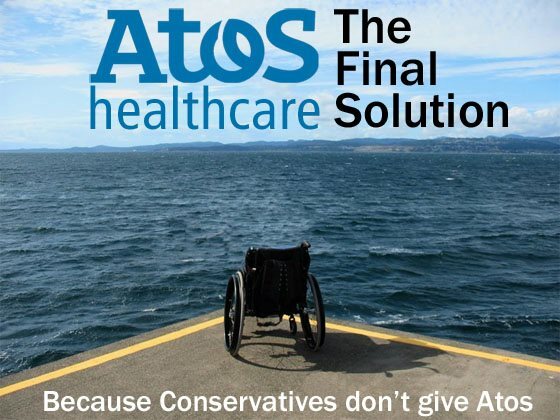 ATOS are currently in receipt of a £100 million a year contract (£500 million cumulatively) from the Government Department of Work and Pensions to undertake work capability assessments (WCAs) with those claiming or seeking disability related welfare benefits. These ‘points-based’ tests –comprising of a combination of computer based questionnaires, short face-to-face interviews and minimal physical examinations– determine whether people are fraudulently claiming benefits when they are ‘fit for work’. The Paralympic protestors, from Disabled People Against the Cuts and UK Uncut, sought to draw attention to the thousands of people who have died after ATOS tests determined them capable of finding and undertaking paid employment. Their protests began on August 29th with the staging of a memorial service outside ATOS’s London Headquarters and continued with ‘die-in’ protests outside ATOS buildings in Cardiff, Glasgow, Belfast and Hull. The following day they escalated the direct action staging a ‘Closing ATOS Ceremony’ which culminated in the occupation of Caxton House, the home of the Government Department of Work and Pensions. Activists used wheelchairs to lock themselves into the lobby of Caxton House, while hundreds of protesters on the street, carrying ‘ATOS kills’ placards and chanting ‘shame on you’ and ‘you can stick your work assessment up your arse’, created a human barricade to stop riot police from gaining access to the building. “We have seen evidence of declining mental health, exacerbated by fear for the future; of physical and emotional strain […] we are seeing it become increasingly difficult for disabled people to participate in everyday family and civic life. This has all take taken place against a backdrop of growing hostility towards those who claim disability and welfare support” (Hawkes in Wood, 2012, p. 10). In 2011 researchers from Strathclyde University’s Centre for Disability Research and the Glasgow University Media Unit analysed changes in the way the newspapers reported and represented disability and the impact of stigmatising coverage on public attitudes (Briant, et al., 2011). Comparing their data against a similar study undertaken five years earlier, their research reveals a ‘significantly increased use of pejorative language to describe disabled people, including suggestions that life on incapacity benefit had become a “Lifestyle Choice”’ (Briant, et al., 2011, p. 5). They also noted a surge in the number of newspaper articles that invoked ‘the “burden” that disabled people are alleged to place on the economy – with some articles even blaming the recession itself on incapacity benefit claimants’ (Briant, et al., 2011, p. 5). By undertaking a series of focus groups, what this research further detailed is how this pejorative visibility has created a consensus amongst the British public that the majority of disability benefits claims are fraudulent (Briant, et al., 2011). Indeed, as I have detailed elsewhere (Tyler 2013), since the disability welfare reform programme began in 2008, there has been a massive increase in disability hate crimes on the streets of Britain. Official police data reveals recorded incidents of disability hate crime grew by 60% between 2009 and 2011 and are now at their highest levels since records began (The Guardian, 2012). By 2012 it was estimated that disability hate crimes had risen to 65,000 per year as a consequence of the continued and incessant portrayal of people with disabilities as ‘welfare scroungers’. It was in the context of enforced destitution, stigma and growing public antipathy that activists set out to wreck ATOS’ ability to capitalise on any positive publicity generated by their Paralympic sponsorship. Writing in The Guardian this week in Feb 2014, Shiv Malik and Patrick Butler revealed that “Atos may lose fit-for-work tests contract as ministers line up rival firms”–among these firms are, incredibly, “G4S, Serco, A4E and Capita Group, who are all listed on the government’s existing “framework” group of preferred bidders for outsourced welfare work”. As Chris Grover and Linda Piggot argue in their paper “A right not to work and disabled people” (2013), attempts over 70 years to increase the number of disabled people in paid employment have failed. This paper is an important intervention, and forms part of a series of activist and academic voices from the disability movement which are beginning to challenge the rhetoric (which came in part out of the mainstreaming of disability rights movements) that only paid employment could grant ‘full citizenship’ and ‘equal rights”. As Grover and Piggot suggest, it is crucial that the disability rights movements–ideally working in collaboration and solidarity with other social movements against austerity, rigorously defend “the right not to work”. Indeed, as neoliberal remakes the social worlds we live in, and leaves increasing numbers of people disenfranchised and seemingly ‘discardable’, we need to radically re-think our basic understandings of work (paid, and unpaid), citizenship, equality and value. “The right not to work is the right not to have your value determined by your productivity as a worker, by your employability or salary… What I mean by the right not to work is perhaps as much a shift in ideology or consciousness as it is a material shift. It is about our relation not only to labor but the significance of performing that labor, and to the idea that only through the performance of wage labor does the human being actually accrue value themselves. It is about cultivating a skeptical attitude regarding the significance of work, which should not be taken at face value as a sign of equality and enfranchisement, but should be analyzed more critically” (cited in Grover and Piggot). ‘There is clear evidence’, wrote Oxfam in its 2013 report Walking the Breadline, ‘that the benefit sanctions regime has gone too far and is leading to destitution, hardship and hunger on a large scale.’ Much ink has been spilled exposing the brutal effects of current government policies. However, until now we have lacked a detailed, historically informed account of the rise of the social attitudes and government policies that lie behind these attacks on the poorest and most vulnerable in our society. Imogen Tyler’s Revolting Subjects is such an account, and ought to be read by all who seek to contest the current direction of neoliberal Britain. Tyler works by combining a theoretical framework centred around the notion of social abjection with a reading of the shifting contours of British citizenship since the 1981 British Nationality Act. She demonstrates convincingly that, since the 1981 act, British citizenship has been redefined to ostracise specific groups and populations, producing paralysed, dejected and ‘deportable’ populations of non-citizens within the internal borders of the nation. To support her case, Tyler re-enacts a series of episodes in the recent history of British citizenship, exploring how the Dale Farm eviction of 2011, the 2012 British riots, and repeated bouts of media frenzy over ‘asylum seekers’ or ‘Chavs’ have all played their part in shifting the boundaries of British citizenship. The great strengths of Tyler’s work lie in her ability to combine harrowing stories of real social distress with an attention to the possibilities of resistance that remain available. To be sure, she does not shirk the difficulties here – her powerful account emphasises the ways in which material circumstances and rhetorical framing combine to drive forward the neoliberal agenda, and to ensure that ‘in contemporary Britain protest itself has been incrementally criminalised’. For anybody wishing to challenge this consensus, Tyler’s work provides a fine example of just how bad things have become in this country, and how hard we must work to enact change. Stuart Elden has nicely pulled together the major obits from today: Stuart Hall obituaries and tributes | Progressive Geographies. #womantheory started as a challenge on twitter to “name three women theorists”. Within hours, my twitter stream was full of the names of great women theorists, thinkers and writers. See the story of how things erupted here. #womantheory was born out of frustration at the sexual-citational politics of many social theorists and also out of the film ‘Women, Art, Revolution‘ (Lynn Hershman Leeson) which we screened at a Feminist Movie Monday event at a community centre Lancaster on Feb 3rd 2013 (one of an ongoing series of free activities in which the Centre for Gender and Women’s Studies at Lancaster organises & facilitates events which are open to a public beyond the University). ‘Women, Art, Revolution‘ begins with a segment in which Lynn Hershman Leeson asks the question ‘can you name three female artists?’ to people on the street outside the San Francisco Museum of Modern Art and the Whitney Museum of American Art–not one person from the art-loving public can name three women artists. For those of us who work in areas such as philosophy, social theory, political theory, the blank faces of those asked’ name three…’ feels strikingly familiar. How very often I have ploughed through a theoretical text without coming across a single citation to a woman or indeed non-white thinker. In response to ‘Women, Art, Revolution’, and after reading another book the day after the film screening which was about the current global economic crises but which had not a single reference to either a female thinker or to the gender politics of ‘austerity’, or indeed to the world beyond Europe, I was motivated to tweet a challenge: name three women theorists #womantheory. The response was overwhelming. Now @womantheory is morphing into a movement online–and a wordpress site – http://womantheory.wordpress.com/—has been set up by Kim Allen which anybody can contribute short posts about the theorists and thinkers who matter to them and why. I hope that over time womantheory will become an archive, a digital commons, of accounts about the influence of feminist theoretical thought. Iris Marion Young (1949-2006) came to talk at Lancaster University at the pivotal feminist conference Transformations: Thinking Through Feminism organised by Centre for Gender and Women’s Studies in 1999. I was a young postgraduate student with a baby in tow, and I was too shy to talk to Iris then, but her work had already changed the way I thought about the world, beginning with her writing on female bodily experience and in particular pregnancy & motherhood in “Throwing Like a Girl and Other Essays in Feminist Philosophy and Social Theory” (Indiana University Press, 1990). Later I read the amazing “Justice and the Politics of Difference” (Princeton University Press, 1990). Chapter five of “Justice and the Politics of Difference” which is called “The Scaling of Bodies and the Politics of Identity” returns us to the work of Fanon and sparked many of the conceptual, theoretical and political questions which I finally explored in my book “Revolting Subjects”. Perhaps one of the most beautiful and moving essays by Iris is “House and Home: Feminist Variations on a Theme” which rather than reject ‘home-making’ as a necessarily ‘oppressive’ site of female subjugation, insists on the ambivalence of values and feelings inscribed in our memories, histories and practices of home. Iris calls for a feminist politics which might reclaim what is radical about home-making. I think her work is so important and so relevant because she insists on thinking class, sexual politics and racism together as issues of social justice which effect everybody. She is a true intersectional theorist. The concept of “intersectionality” was developed out of black feminist activism and scholarship as an attempt to negotiate the racism inherent within feminist politics. In 1978, the Boston based Combahee River Collective argued that racial, class-based, and sexual forms of oppression worked together to produce marginality and needed to be thought and fought against together. As they noted in their `Black feminist statement‘: `we see as our particular task the development of integrated analysis and practice based upon the fact that the major systems of oppression are interlocking’. (1982: 13). 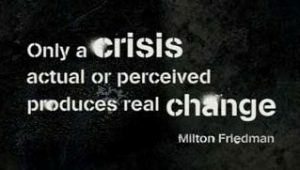 Intersectional feminisms emerged which aimed to develop theories which could capture the ways in which social classifications and categories, such as gender, ethnicity, disability, social, class, sexuality and citizenship status work together to reproduce forms of inequality and injustice (see Crenshaw, 1991). However, intersectionality always risks reproducing the very forms of existentialism which it aims by fixing the categories as it marshals them together. Iris’ careful attention to subjectivity and language enables her to beautifully navigates these theoretical and material pit-falls. When I read her work, I get such a strong sense of her person as somebody who is motivated by a political concern with the question of equality–and who understands equality –and the fight against inequalities– as the central issue of our times. I am indebted to the work of Iris Marion Young, and I encourage everybody to read her.